Search Bridgeland/Riverside Public Schools directory Calgary: Research Bridgeland/Riverside Public & Catholic schools Calgary, new Bridgeland/Riverside public & catholic school openings & Bridgeland/Riverside Schools closed on Tuesday, April 23rd 9:48am. Moving your family is a challenging time, especially when relocating requires your children to change Calgary schools. Search Bridgeland/Riverside elementary schools, high schools, public schools, churches, community centers. Research Bridgeland/Riverside real estate statistics, real estate agents, REALTORS® & homes for sale in Calgary on April 23, 2019. Currently there are 103 active listings in Bridgeland/Riverside average asking price of $516,288.95 highest price property $1,675,000.00. Currently 24 properties include Attached Homes, Detached Homes, For Sale by Owner, Luxury Homes plus 76 Condos For Sale, Townhomes, Rowhouses, Lake Homes, Bank Foreclosures. "Albert was great in every aspect. Very knowledgeable and professional. The communication was outstanding and he often went the extra mile. I would recommend Albert to anyone in need of a realtor." 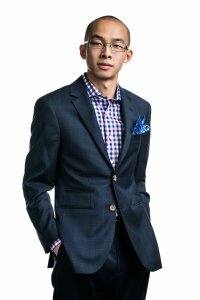 "Albert Mah was our real estate agent assisting us in buying and selling our houses in 2015. He was really good to work with, always on time for meetings and very responsive to all our questions. He was instrumental in helping us find the perfect house that met our criteria. I would definitely recommend Albert."